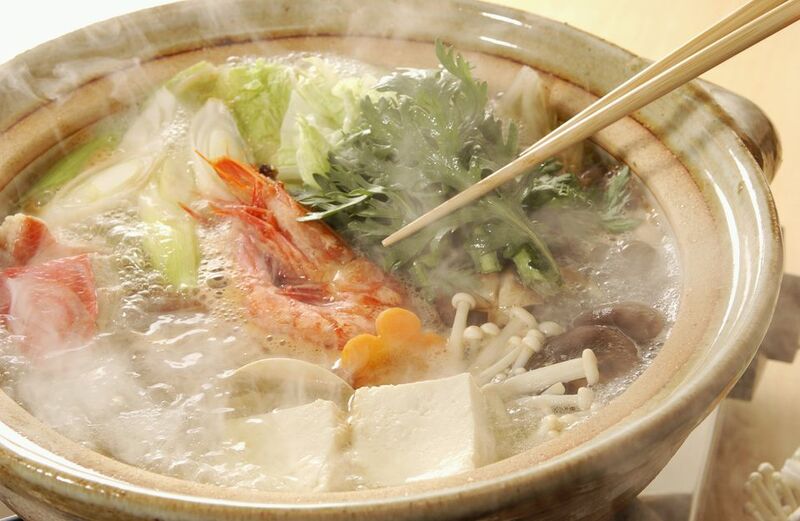 It's a kind of nabe (hot pot) dishes. It means putting everything together in a pot. You can put various ingredients, such as seafood and vegetables. It's usually cooked at the dining table as people eat. Put dashi soup stock in a donabe pot or an electric skillet. Heat the soup and bring to a boil. Season with sake, soy sauce, mirin, and salt. Turn down the heat to low. Add salmon and clams in the pot at first. Put other ingredients and simmer until softened and cooked through. Prepare individual serving bowls for diners and have them take some simmered ingredients in the bowl as they eat.